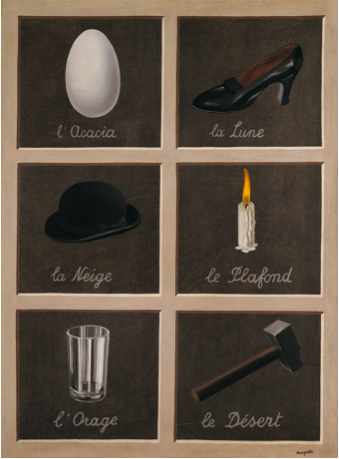 The first time I saw this painting of the surrealist artist René Magritte I was in my last junior high school year. It provoked a lot of confusion in me. It has nothing but a pipe with a sentence below it saying “Ceci n’est pas une pipe” (Translated: This is not a pipe). Well…why on Earth is that not a pipe if what I see is indeed a pipe? At first I tried to decipher an inexistent hidden meaning trying to find camouflaged shapes that proved why that was not a pipe. 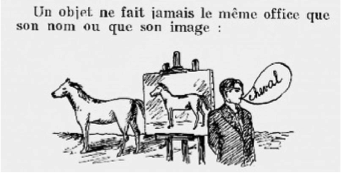 It gave me quite a headache, and a few years later I saw the same painting again in a slide show my French teacher uploaded to the course’s website. I was very frustrated so I asked directly to my professor: WHY IS THIS NOT A PIPE? 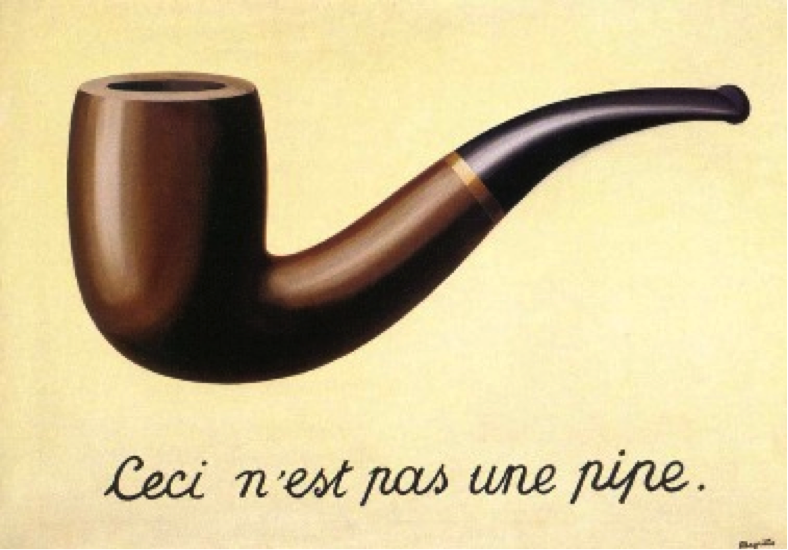 He proceeded to explain to me the whole philosophy behind René Magritte’s surrealist art, but before I jump into details I can get you started by making you realize that this is indeed not a pipe: it is actually a painting of a pipe. Magritte was born in Belgium in 1898. He met Andre Breton, one of the founders of the surrealist movement, in 1927 (Renemagritte.org). Putting those years in historical context we are looking at a generation that was living the end of The Great War (World War I) and moving toward the beginning of World War II. The general feeling among people was of uncertainty. There was optimism with the end of the war but a big depression as well for the instability it left. At the same time it was an era of new developments in science theories such as quantum physics and psychoanalysis, especially the work of Sigmund Freud (Chamorro Benet). It was a world of things that didn’t make sense, but it gave a new dimension to the ways of looking at it, most importantly questioning reality through this clash of events. The world gave birth to the concept of being surreal. not only he made this observation through these types of images, but also he usually gives a title for his paintings that has nothing to do with the literal things you see in the image. – An image can take the place of a word in a sentence. – We see the pictures and words in a different way in a painting. – An object never has the same role as its name or its image. -Visible contours of objects in reality touch as if they were a mosaic. -Undefined figures have a meaning as perfect and equally necessary as defined figures. 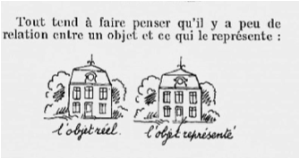 Magritte brought through his art the reflection of the new perception of reality that was being discussed in the philosophies of his time. He questions reality through this conflict of words and images. The pipe might only be the painting of a pipe, but immersing into his concept creates even bigger philosophical questions. He is interested in the mystery of this relation and leaves an open answer to it. Chamorro Benet, Paloma. “Contexto Histórico Del Surrealismo.” BBAA En La URJC. N.p., 02 Mar. 2014. Web. 18 Aug. 2015. .
“Alfred Korzybski.” Expanding Your World. N.p., n.d. Web. 18 Aug. 2015. .
-Science and Sanity: An Introduction to Non-Aristotelian Systems and General Semantics, 1933, fifth edition, 1994. -Collected Writings: 1920-1950. Edited by M. Kendig. 1990. Dingemanse, Mark. 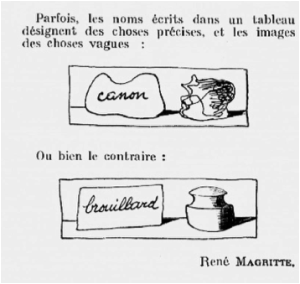 “Magritte on Words and Images.” The Ideophone. N.p., 16 Apr. 2013. Web. 18 Aug. 2015. .
“Rene Magritte and His Paintings.” Rene Magritte. N.p., 2009. Web. 07 Sept. 2015. .
Special thanks to my French professor Jean Ferras, who introduced me to the world of René Magritte.